Register as a tenant and we’ll set you up with your perfect property. Fill out the form below and we’ll do all the hard work for you, narrowing down the best properties that match what you’re looking for. Do you need to move by a required date? If so, when? Have you been in full time continuous employment for the last 18 months? Do you have any outstanding Loans, Debts or Financial Commitments? Will you apply for housing benefit? Do you have someone who will act as a Guarantor if required? 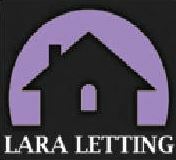 Is there a specific property you are enquiring about (please enter it here)? What is your maximum monthly rent amount (excluding outgoings)? How long would you require the property? Do you have any special requirements for the property and/or area? Do any applicants have pets? If yes, how many and why type? Do any applicants have adverse credit history? Please note: we do not pass your details on to any third parties. We just need you to confirm you accept the terms of our Tenant Registration service.